It’s the middle of May!!! That means that most of us have less than 3 weeks until the kids get out for summer break. For some of you, that statement is met with a ton of excitement….lazy mornings, sleeping in, lots of sunscreen, pool days, popsicles, and quality time with your kids. For others of you, all you can hear is bickering in the background and, “Mom…I’m so bored”!!! If I’m going to be truly honest with you, I am feeling a little of each of those extremes! I still have 2 little ones home full time with me and one in school. I’m excited to spend more time with him and I’m really excited that he will be here to help out and play with the younger ones who adore him. But…I can hear the bickering and boredom coming soon! It’s around this time every year that I panic and then gather myself and decide that I’m going to come up with the greatest summer plan ever. Each moment of each day will be accounted for down to the minute and all 3 boys will meet this plan with cheerful, willing spirits and smiles on their faces. And if I know myself…this plan will be followed for maybe a day and a half and then every fiber of my being will rebel and throw the plan out the window. I can make the plans…it’s the follow through that needs a little work. This summer I’m trying to give myself a little grace and be a little more realistic! We are going to have some structured times and set activities, but we are also going to have a lot of room for fun and spontaneity! We are going to do a lot of reading, game playing, ice cream-eating, swimming, creating, and traveling. And this is where our Tabletop Truths summer plan was born. Lisa and I were talking about our upcoming summers and the Lord laid it on both of our hearts to not just use our placemats for eating on, but to really focus on one mat per month. We want to support and encourage each other and YOU to follow through and really teach our kids the amazing Truth that is on our mats! Because we know, everything is more fun when you have friends along with you! Here’s our plan: June will be “Armor of God” month, July will be “Jesus Is” month, and August will be the “Attributes of God” month. We will get out the mats for that month and use them, read the scripture that goes along with the mat, play games with them, and get creative with activities that reinforce the scripture to our kids so we can write God’s word all over their hearts and minds. We will send out ideas for the month a couple of weeks before we all begin so everyone can be equipped with what they need to be successful. Remember…we are all about doing this as we go about our days. It shouldn’t be complicated, just consistent. 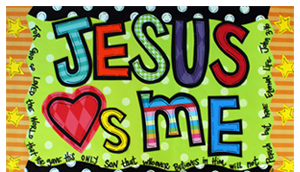 To make sure everyone has the mats they need, we will discount the Boy and Girl armor of God, Jesus is, and Attributes of God placemats through June 30! So order now and get those mats for $6.00 each! Use code SUMMER. Be looking for more information to come next week with more ideas and details to get everyone ready for Armor of God month! We are excited to see how our kids soak up the Truth over the summer…along with a little sun!